I've heard large amounts of feedback from colleagues working in the industry that they are repeatedly hearing back from customers saying that they can't find a fitter to install their shiny new flueless gas fire. A number of excuses have been passed on from fitters and there have been rumours regarding flueless gas fires, a number are addressed below and can hopefully straigten a few facts out. 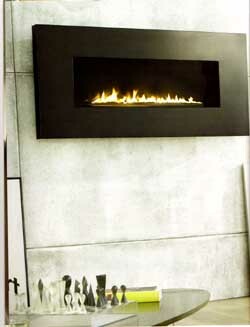 One of the main rumours that I have heard regarding flueless gas fires is the risk of Carbon Monoxide poisoning. This is a risk with any gas fire and is slightly more likely to occur in a conventionally flued fireplace rather than a flueless gas fire. Conventionally flued gas fires rely on a flue that can become blocked with debris or even a birds nest that could fall down the chimney pot. With Flueless Gas Fires that have been correctly fitted by a GasSafe registered engineer and serviced annually as suggest by all fire manufacturers then ther should not be a problem with any flueless gas fire/stove, Esse even offer a 10 year catalytic converter guarentee! 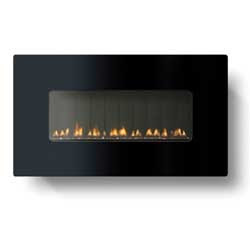 Flueless gas fires, if fitted and maintained correctly are inherently safe and this is one of the reasons, along with their impressive reliability and longevity, they are the only type of fires that are available in Tokyo, Austailia and many U.S states. Tests show that flueless catalytic gas fires produce over 3 times more heat per kilowatt input than conventional flued or vented gas fires, and over 12 times more heat than most decorative, open gas fires, both of which tend to lose more than 75% of the heat of the chimney. This means than three quarters of your heat energy isn't actually heating your room, it's contributing to global warming! 3)Requires Drafty Air Brick Ventilation. This rumour is a common misconception of the ventilation required for a flueless gas fire. Although they do require ventilation in the room but this ventilation only needs to allow a free passage of air of 100cm2, although this sounds a lot the total size of the air vent can be as little as two post-it notes stuck side by side and when situated in a sheltered area, normally across the room from where the flueless fire is situated then any drafts should be minimised, these would normally be less than what you would experience with a conventional or powered flue gas fire as the ventilation area is considerably smaller than the size of a chimney or powered flue opening. There are some rumours running around the internet that Flueless gas fires give off an odour when in use. When first used then ALL gas fires, whether flueless, balanced flue conventional flue or stove will emit some odour as the fire is first used, this is caused by the setting and curing of any heat resistant paint or adhesives used in the construction of the fire and are typically non-toxic and harmless and after a couple of hours on full will be gone for the life of the fire. As for Flueless gas fires, they only emit Carbon Dioxide and Water vapour as products of combustion, neither of these gases have any odour so a flueless gas fire should not give off any odour.